The Texas Senate took a final vote Saturday to approve legislation requiring the state’s public universities to allow handguns in dorms, classrooms and campus buildings. The House is scheduled to vote on the issue on Sunday. 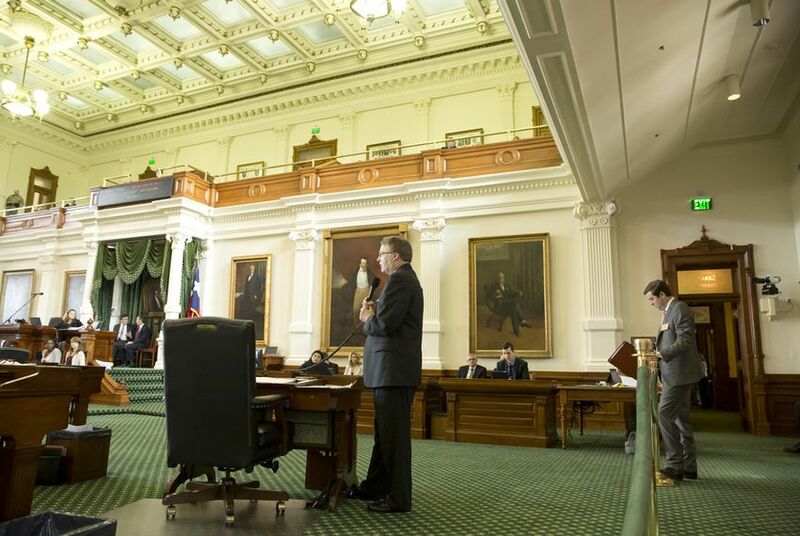 The Texas Senate took a final vote Saturday to approve legislation requiring the state’s public universities to allow handguns in dorms, classrooms and campus buildings. Under the latest version of the bill, universities would be able to carve out gun-free zones in locations of their choice — establishing their own rules on where handguns are carried and how they're stored based on public safety concerns. Only concealed handgun license holders would be allowed to carry their firearms on campus, and private universities would be allowed to opt out of the requirement altogether. The measure was approved along party lines with a 20-11 vote, with all of the chamber’s Democrats opposing it. The House is expected to take up the legislation on Sunday afternoon. It must pass that chamber before it heads to Gov. Greg Abbott, who has said he will sign it once it reaches his desk. On Tuesday, the bill narrowly avoided becoming a casualty of a key midnight deadline after House lawmakers brokered a last-minute deal to accept several amendments, including one that would require private universities to also allow handguns on campus. Birdwell then requested a conference committee on the legislation to work out differences between the two chambers. He said at the time that he had concerns with the language added to include private universities in the new law. Lawmakers who argued for requiring private universities to follow the same rules as public institutions said it was a matter of fairness.